Is everybody enjoying everything that Hoenn has to offer? It has been little less then two weeks since the release of Pokemon OmegaRuby and AlphaSapphire but there is a lot of fun to be having. Maybe you are beating gym leaders. Perhaps you are putting a stop to Team Aqua or Magma’s plans. Maybe you are relaxing on the beach. All of these things can be done in Hoenn! While you are enjoying your new games, how about you listen to some great podcasts to make that trip to Mauville City even better! We got plenty of podcasts that are all itching to talk about Hoenn. So sit back and don’t touch that Totodile! P.U.C.L Podcast: Pokenav Plus– Thatch and the crew get together to talk the latest in Pokemon. In this case it is about ORAS but not just any kind of talk! 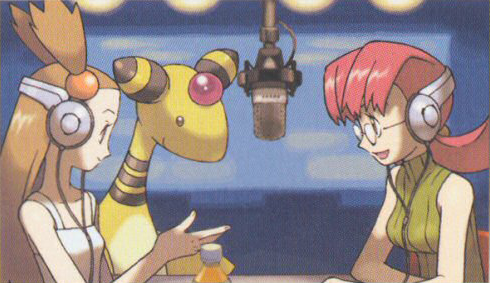 They are going to talk about the latest gizmo from the Hoenn region. The Pokenav Plus! This thing is full of fancy features that really put a plus in getting your hands on one. Of course, they talk about other things involving ORAS such as Secret Bases. Make sure to listen! The Dex! Podcast: Omega!– The Dex! Crew are back once again on the eve of ORAS. These guys are excited for the new games and are willing to pretend as if they have the games in their hands. The Dex! Crew spend this episode talking about their top 5 Ground types in the Hoenn region. There are so many that these guys spend a nice long time gushing about the Pokemon that Hoenn has to offer. Stay tune for their fan-answers! PKMNCast: Littleroot Town to Rustboro City– SBJ and Micah get together to podcast about their adventures so far in Hoenn. It has been a long trip but SBJ and Micah talk about everything they have done since leaving Littleroot Town. They do talk about some of the cons of the game so far but they do have praise to share about the game. Everything all ends in Rustboro City before SBJ and Micah battle the gym leader. Listen to follow their adventure! Radio Whirlwind: #TooMuchWater In Hoenn– The guys at Radio Whirlwind talk about the new game that everybody surely has right now. If not then at least most of the Pokemon fandom has. They even mention the other game that features Pokemon in it that involves smashing brothers and a glitch within the game. 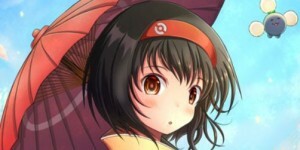 Pikapi Podcast: Comin’ Around The Mountain!– Mako takes a look at an episode that is strange. Welcome to the No Science Zone where things are not what they seem. This is a place where a little bug can lift more then it’s weight and gravity doesn’t seem to function. Logic takes a turn to the crazy as Mako watches Ash and friends make irrational decisions. It is just one of those episodes in the Pokemon anime and Mako has to cover it. Love these podcasts? Make sure to leave them a rating and review! Suggest any podcasts you want us to feature in the comments!